Jamie Whincup says that human error was behind the disastrous pitstop that has seen him drop 111 points from the lead of the Virgin Australia Supercars Championship. Whincup lost significant time in his pitstop on lap five of 39, with the team switching to a back-up air spike after initially failing to raise the car off the ground. The six-time champion had been put on an aggressive strategy after qualifying ninth and then being hit with a five-place grid penalty for a pitlane incident in qualifying. Whincup rejoined from his slow stop deep in the pack and spent the bulk of the race behind wildcard driver Jack Le Brocq on the way to a 20th place finish. “The car didn’t go up when the spike went in. 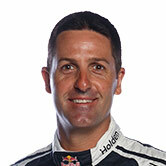 It was just human error, I think, which is why it didn’t go up,” Whincup told Supercars.com post-race. “We’ll rectify that, but once you’re back in the pack it’s all over. “When you pit early, you need track position, because all the people coming out in front had better tyres on. “If you pit early and something goes wrong in the stop and you lose track position, you’re done. Although losing 105 points to championship leader and race winner Scott McLaughlin, Whincup was relaxed about the title picture. “The enduros are coming up, so there’s a massive amount of points there,” he said. “I’m disappointed because we ground it out for three months, and we made some good inroads – and then we’ve thrown it all away today. 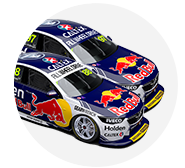 Asked about his struggle for pace this weekend, Whincup said that the direction the team has gone with its car recently was not expected to suit Ipswich despite it being the squad’s test venue. “We predicted that it wasn’t going to be as speedy as it has been at the last few rounds, but we don’t want to go back to the old pond, we want to keep moving forward,” he said. “We’ve taken a hit this weekend to the progress, but I’m fine. We didn’t do a good job today; we should have qualified sixth or seventh, something like that, and then made a couple of spots up in the race.